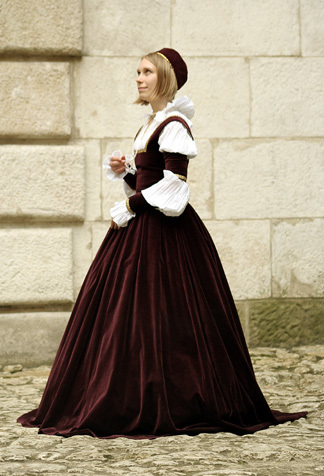 Dress of young noble lady, made of velvet. Square decolette and sleeveless bodice are typical for Polish renaissance fashion. High-necked shirt with very long and wide sleeves is important part of costume. Armbands are replacing the dress sleeves.